Carnival began in January 1959 in St Pancras Town Hall as a response to the depressing state of race relations at the time; the UK's first widespread racial attacks (the Notting Hill race riots) had occurred the previous year. It was a huge success, despite being held indoors. It first moved outside and shifted into August in 1965. The prime movers were Rhaune Laslett, who was not aware of the indoor events when she first raised the idea, and Claudia Jones, who is widely recognised as 'the Mother of Notting Hill Carnival'. At this point, it was more a Notting Hill event than an African-Caribbean event, and only around a thousand people turned out. In 2005, entrants from Notting Hill Carnival participated in the Bridgwater, Somerset carnival - Europe's largest lighted carnival and part of the West Country Carnival circuit. Since 2007 Notting Hill Carnival and the Summer Carnaval in Rotterdam work together in a coalition in which they exchange brass bands and steel bands. pan-jumbie.com keeps gettomg better although they dropped the special focus on Notting Hill Carnival in 2008 after providing 3 years of outstandingcoverage of the Carnival for out-of-town Carnival enthusiasts. Hometown Carnaval was Basel Switzerland, one of Europe's most important but held many for the benefit of the locals with hotel rooms booked up far in advance. The 2008 carnival is collaborating with carnivals in Rotterdam, Brazil and Nigeria, is expected to add more then £100m to the city's economy. In its 44th year, the 2008 version of the world renowned Carnival in west London is expected to attract 1.5 million people over the 4-day August Bank Holiday weekend. 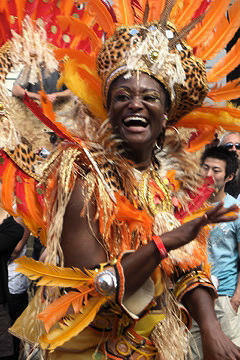 Sample exotic foods and dance to the beat in Notting Hill on Sunday 24 and Bank Holiday Monday 25 August. The weekend begins mid-day in Hyde Park at the Panorama stage and then moves to the historic Notting Hill neighborhood for a parade surrounded by a street party or vice versa. It's crazy fun. Next year the 4 day holiday weekend will end on last Monday in August bank holiday or August 31st, 2009. 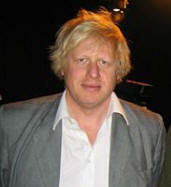 Mayor of London, Boris Johnson, said: “Notting Hill Carnival is an inimitable event, bringing people of all communities together from across the capital and beyond. “It illustrates the energy and colour of our great city and this year's event, coinciding with the official handover ceremony at the Olympic Games in Beijing, will be even more special." the Mayor told reporters. Mr Johnson told the BBC that his association with the event dates back to his childhood when he and his family stood outside their Ladbroke Grove home "dancing and ululating" to the music. "It illustrates the energy and colour of our great city and this year's event, coinciding with the official handover ceremony at the Olympic games in Beijing, will even more special." "This year it's going to be even bigger, better and generally more funkapolitan." Interim chair of organisers London Notting Hill Carnival Ltd, Allyson Williams, said the party and the flag handover ceremony will show the city's "ability to host world class events". 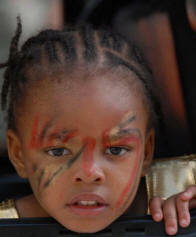 Check out our 2008 events page for the hottest fetes, & weeklies. London Calypso Tent 2008Hosted by the Caribbean Music Association, this family day in the park includes activities, games and performances from some of the UK’s top Soca DJs. A showcase of rich talent of British based Calypsonians. The ‘Tent’ is open every Friday until Friday 22 August. Hosted by the Caribbean Music Association. Sample Caribbean cuisine, make your own headdress, get a sneak preview of the Notting Hill Mas Bands Association's parade costumes or get in the mood with some live calypso at a host of pre-Carnival events. Notting Hill Mas Bands Association presents a stage show, competition and preview of costumes for Notting Hill Carnival 2008. Location: Hyde Park. Time: 12-4.30pm World Music Stage. 5pm to 9.30pm (National Steel Pan competition in association with the British Association of Steel Pan). Come join Ebony and Carnival Village on the Road for Jouvert. Prizes for the best dressed Zombie. Steelbands participate in a procession to mark the official opening of the 2008 Notting Hill Carnival. Revellers will daub paint and mud on themselves as a traditional way of driving away demons. Venue: Notting Hill - main Carnival route parade. 10am-9pm. August Leeds West Indian Carnival Leeds holds the title of Europe’s first Caribbean-style party and as such, likes to celebrate with their own bank holiday carnival. Over 80 hours of live music has been programmed for this August bank holiday extravaganza. Mathew Street Music Festival, Liverpool's legendary annual music festival. Liverpool is the EU's City of Culture 2008 and has been making its events extra special including a Samba Carnaval earlier in August. Sneaking in a little more summer fun! Ryde Carnival Isle of Wight Carnival at Ryde, featuring over 2,000 performers from carnival clubs around the Isle of Wight and admired by over 45,000 spectators. This is a sensory feast of sound, with musical influences from Rio Samba, Trinidad Steel Pan and Local bands. While Leed's Carnival lays claim to being the oldest UK Caribbean Carnival , as of 2008, there is over 120 years of Carnival tradition on this island capital of Carnival in the UK with 24 annual Carnival parades on the Isle of Wight with Ryde Carnival being the biggest and greatest. The biggest is the illuminated Saturday Parade on 28th of August 2008. The 2008 Portobello Film Festival celebrates its 13th anniversary this year and that, of course, means that this year's festival is definitely going to be an event you won't want to miss. During its three week run the Festival will screen hundreds of brand new, low and no budget short films and international, rock and roll, and art house movies. Key London roads are closed to traffic for the Festival’s spectacular Night Carnival. Over 2,000 musicians, dancers, performers and masqueraders come from across the country and the world with their amazing lanterns, illuminated costumes and fantastic structures – an incredible and un-missable display of carnival creativity. The Carnival starts at 6pm on Victoria Embankment, travels east crossing the Thames at Blackfriars Bridge, and finishes behind the Royal National Theatre.